We welcome you with our warmth and smiles at Mountain View Massage Day Spa & Vibrant Living Retreat. ​We have wonderful specials below on offer. Please scroll down to read more about the details of these specials and links to webpages for more info. Take our Google Maps Virtual Tour before you book. 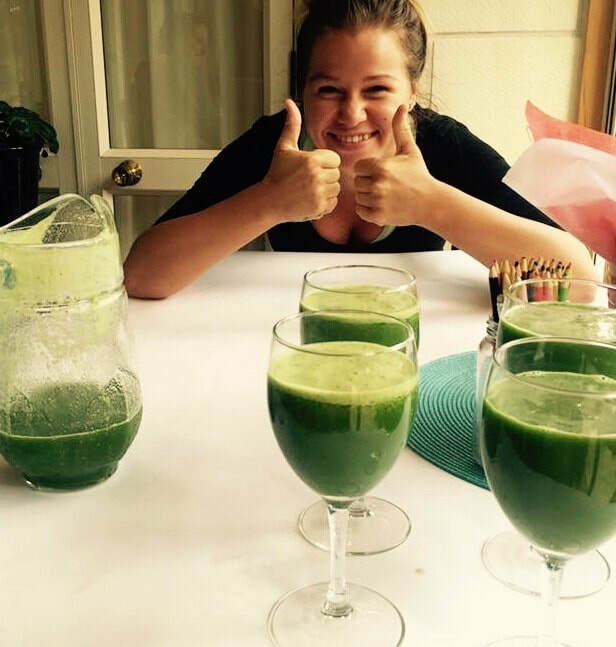 A very Special ~ DETOX RETREAT Special : 30 % - 50% discount off our upcoming 10 day Detox Fasting Wellness Retreat. Retreat date May 5th - 15th. Places filling up. 8 People max we can take on this retreat so don't delay and miss out on this one time offer. We are delighted to offer this massive discount off our relaxing , rejuvenating and transformational 10 day detox yoga wellness retreats. This is our response after being touched by what happened in CHCH and to support in the way we know how. ​ TO ENCOURAGE AND EMPOWER INNER HARMONY WELLNESS . ​Be well and share wellness ! ! ! March / April ~ 2019 specials. ​Choose a 60min massage of your choice from our massage menu or ask for our signature fusion massage which includes a mixture of relaxation techniques, deep tissue massage and hot stone therapy. Menu & prices HERE . ​You must REF : ILOVEMASSAGE10%OFF03.2019 when you book to receive this discounted special offer. ​90 min Fusion Massage & reiki healing package. ​Only $150 in Jan 2019 Reduced from $195 . ​This Package includes a 60 min full body fusion massage and a 30min Reiki Energy Healing for body, Mind and soul balance and alignment. Alternatively you can book a full body 90min head to toe luxury massage with this offer. OCT special $150 x 1 person reduced from $195. You must REF: YESTO90MINBLISS150.032019 when you book to receive this discounted special offer. Special 3: DAY SPA. 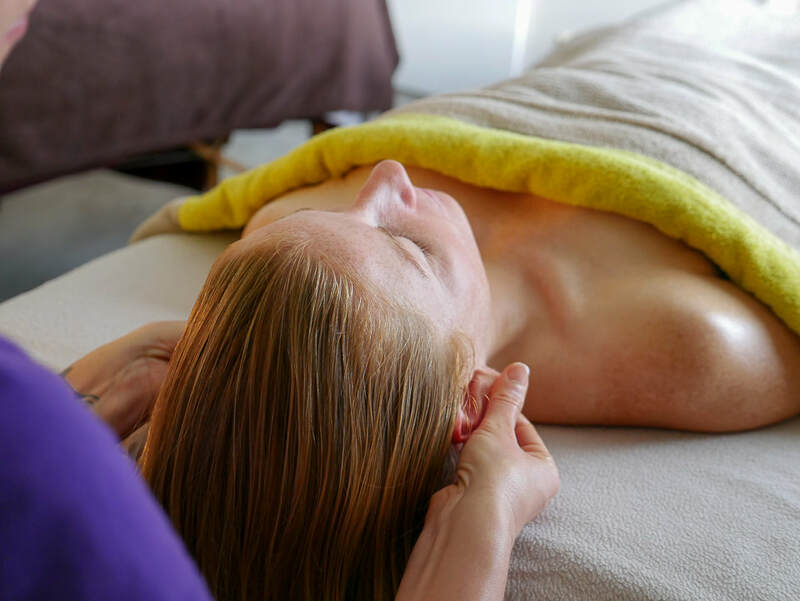 Pure Bliss Revival - Head to Toe 2.5 hrs including: Full Body Exfoliation, Full body Massage, Hot Stones Therapy and completes with our Vitality Beauty Facial and Eye treatment. Complete this treatment relaxing in our spa lounge with some herbal teas and homemade chocolates. Only $255 for 1pp currently reduced from $320. For more information on this package click HERE A luxury pampering package. ​ * Bookable Sunday Lunch time to Saturday Lunch time 1pm. ​ when you book to receive this discounted special offer. Special 4: Luxury Villa B&B, Outdoor Spa Bath & 4 hrs of DAY SPA time. $100 off for MARCH on our 2 night spa Escape package. Includes: 2 Night Luxury Spa Escape package ~ because you and those you love are worth it ! ! ! Weekday special only $899 and weekends Fri & Sat $999. Perfect to book as a romantic couples escape package or as a individual wellness pampering retreat escape booking. Includes 4 hrs of Day Spa Treatments to book between 2 people sharing or for 1 person to have all to themselves. 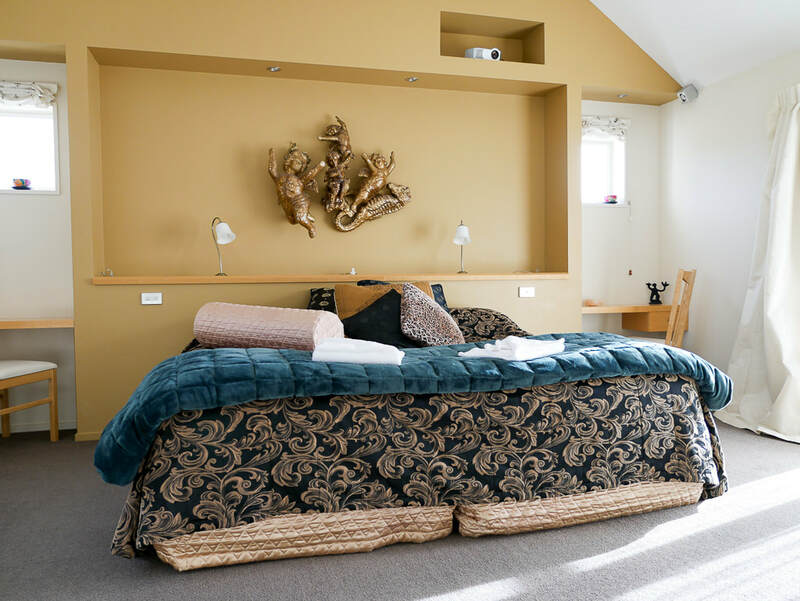 Includes 2 night luxury accommodation staying in a stand alone Alpine villa with out door hot tub, master bedroom with movie projector and DVD'S to choose from, separate kitchen and lounge with T.V. 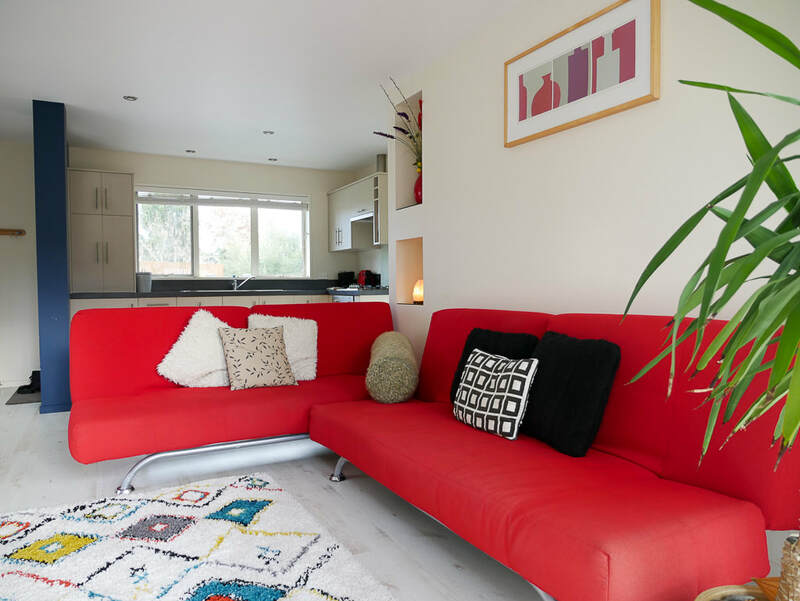 coffee maker and is fully self catering. Includes our RISE & SHINE breakfast menu to choose from or VEGAN Menu and 4 hrs of Day Spa Treatments. A Vegetarian or Vegan Dinner can be booked as an additional option if you prefer not to visit one of our local village restaurants. Reduced for MARCH weekdays $899 Sun - Thursday. 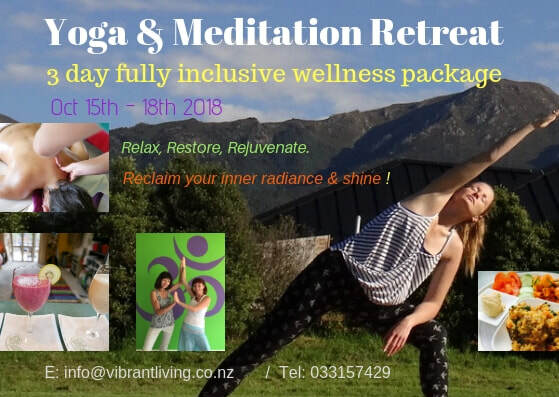 Book a Vibrant Living wellness retreat inclusive package in 2019 for 3 nights or longer for 2 + people as a private group retreat and receive a 10% discount when full payment is received 5 weeks prior to arrival date of your retreat. Book 4+ people and receive a 15% discount. or Call Mary jo: 033157429 to discuss options. Special 6 Mountain Bike Hire. 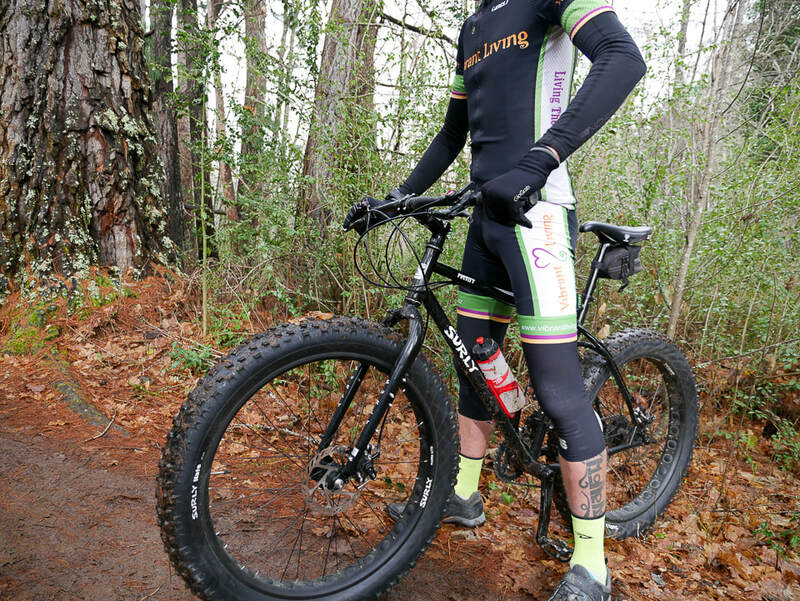 ​Book a fun FAT bike full day and receive a 2nd day or 2nd bike for your biking buddy on the same day for free. Bikes are free for our retreat guests. Train as a Vibrant Massage Therapist with us in 2019. Be the gift that can keep on giving ! Be well and share wellness by joining our training retreat. ​More Info HERE on joining this training . Next 40hr Massage Training Week Retreat will Start July 7th 2019. Last 40hr Massage training week is in NOV 2019. SPECIAL 7. Massage Training Course. 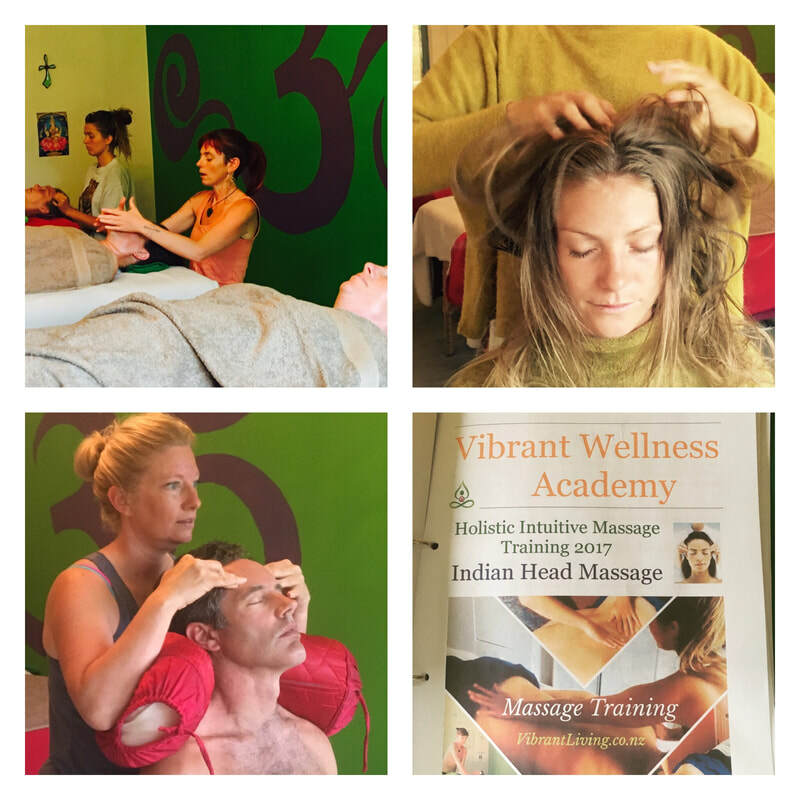 ​Receive a 10% group discount on our 10 hr Indian Head Massage Training when 2+ people book and pay for this certified Vibrant Wellness Academy training held at Vibrant Living Retreat. Email Mary Jo to discuss suitable dates. Go Professional with us ~ Book one of our certified 40hr Holistic Intuitive Massage Training course and receive over 50% discount when when staying on our 12 weeks post training as a volunteer intern exchange program. 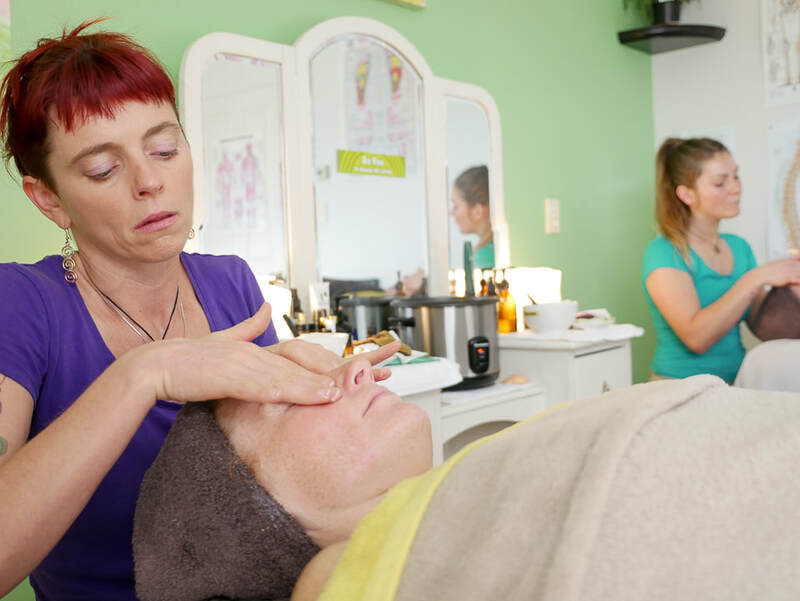 This is suitable for those with a natural passion and flair for massage and enjoy caring for peoples health and wellness and wanting to create a thriving career in the wellness industry. We only allocate 1 or 2 spots per massage training only. So don't delay if this opportunity sings to your heart and soul. At Vibrant Living we love to support, empower, develop and encourage wellness careers for the future. Click on the orange button below and be taken to our discounted escape packages pages. ​Check out one of our most POPULAR Girls Spa Escape. 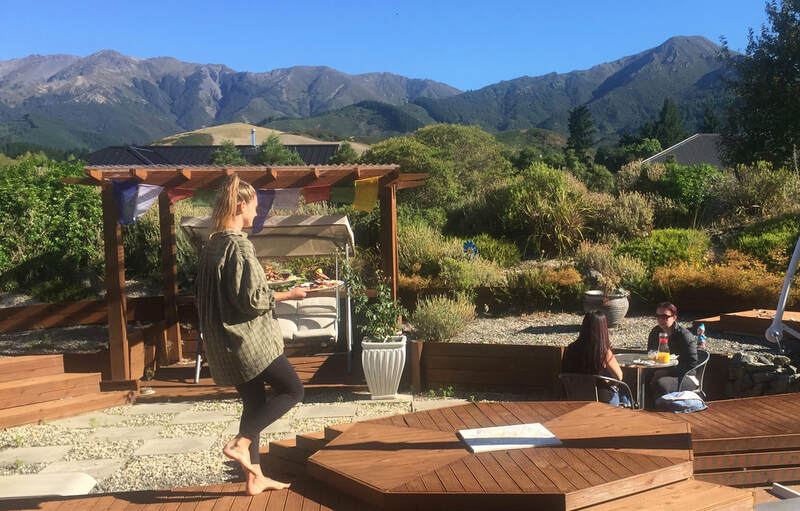 Enjoy a special one of a kind girls night away in hanmer springs by booking this inclusive Spa Escape Package starting from just $159 - $199 per person inclusive of accommodation, breakfast, private yoga class, 30min massage or facial and a thermal hot pool pass. The more girlfriends booking together the more reduced the package cost per person. This package is offered at a reduced rate on our Girls Spa Escape webpage. Click HERE for more information and discounted group rates.